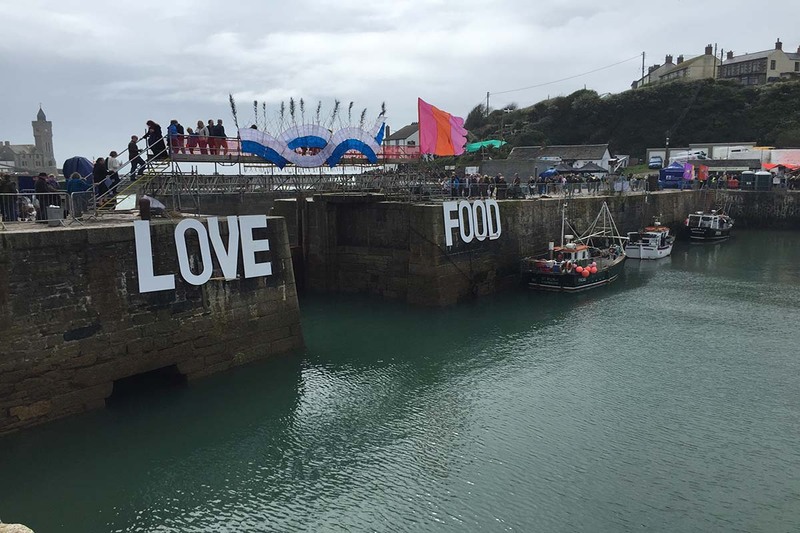 Arguably one of the best food festivals in Cornwall, the well established Porthleven Food and Music Festival is now into its tenth year. Spread across several venues in the quaint fishing town of Porthleven the festival is being held on 26th – 28th April this year and visitors have the option to park and ride, or various camping options and holiday cottages nearby are available should you want to make a weekend of it! The festival attracts around 30,000 food and music lovers, and offers a national and international chef’s theatre, food stalls, street food, music day and night and entertainment for all. With the exception of the night-time entertainment, the festival is free to attend. By day as well as having your pick of local produce served up by over 90 food and craft stalls that surround the harbour, you can also satisfy your literature craving — visit the Literary and Acoustic tent that plays host to numerous local authors and poetry readers throughout the afternoon. The very same tent transforms at night, where well-known bands line the stage. This year sees the lively Mad Dog McRea playing on Friday evening and the sound of Motown on Saturday with the All Star Soul Band and Falmouth Gospel Choir offering what is certain to be excellent performances. Music entertainment on Friday, Saturday and Sunday evenings is ticketed. For more information on the Festival and to purchase tickets please visit the Porthleven Food Festival website. As for the chef’s theatre, Porthleven Food Festival always attracts talent from the South West and beyond; chefs Antony Worrall Thompson and Jack Stein have been the stars of the show in festivals-past, performing mouth-watering food demos and – most importantly – laying out tasters!!! Make sure you get there early to see chefs of the highest calibre on the Shipyard Stage! The Porthleven Festival is suitable for all ages, and the Family Field offers craft workshops, circus skills and a bouncy castle to keep the whole family entertained across the weekend! Make sure you get down to the Porthleven Festival this year, and find out for yourself why it’s one of the best food and art festivals around!